Our experienced team will take control of your project from concept to completion. One of our approved installers, local to your golf course, will execute the installation. Clients will install Durabunker using ‘in-house’ staff. We support this option with training and other resources that will support ‘in-house’ installation. Our primary objective in each and every project we undertake is to achieve the best results possible for our clients. We also recognize that many venues we work at have exceptional staff, some with significant experience building ‘sod wall’ or ‘revetted’ bunkers. 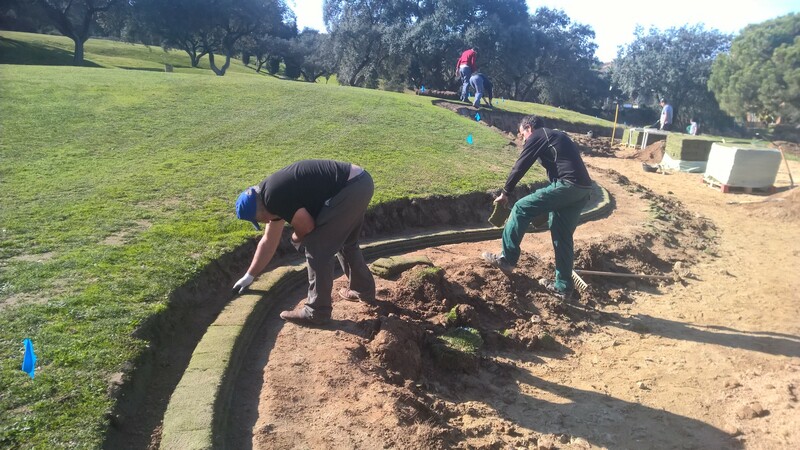 Whilst the core skills are very similar the installation of Durabunker does differ from construction of revetted edges or sod wall bunkers with natural turf. It is these small yet important differences that we as a team will highlight and demonstrate when on site, ensuring quality standards are met and passing on techniques and knowledge that we have developed over many years working with our synthetic materials. We will support and work with our clients in every respect to ensure best possible outcomes at all times. Contact our specialist staff to discuss your project requirements.